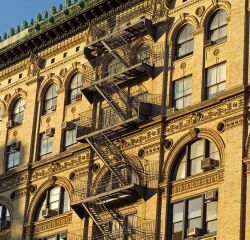 Many lives would have been saved if fire escapes were still mandatory! Had these outside my parents apartment in the Bronx in the mid 1960's. My grandparents had an ancient set outside their apartment in Brooklyn too.